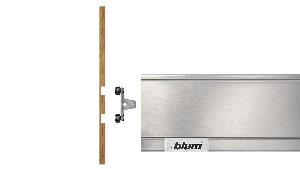 Blum recently introduced an easy way and first fixing method to assemble thin fronts for wall cabinets, doors and pull-outs. Blum’s fixing method for thin fronts is based on EXPANDO T. Steel teeth bite into the material of hard fronts while nylon components ensure firm anchorage in soft materials. Blum wants to keep things as simple as possible. 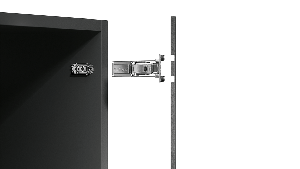 That’s why they have developed a single fixing method that can be used for three different applications: wall cabinets, doors and pull-outs. Furniture with thin fronts can be implemented with ease, delivering tried and tested Blum functionality to living areas throughout the home.